Folks, I am a craftsmen and fabricator. And there is nothing more frustrating than being forced to use inadequate tools. If I have a need for a tool for a specific job, I buy or create the tool that will do the best job for my need. That philosophy is what has been behind the creation of PRFect Shelving Solutions. We build a portable shelving system that is a life long tool to support the needs of the individuals who need a perfect shelving system for what ever purpose. 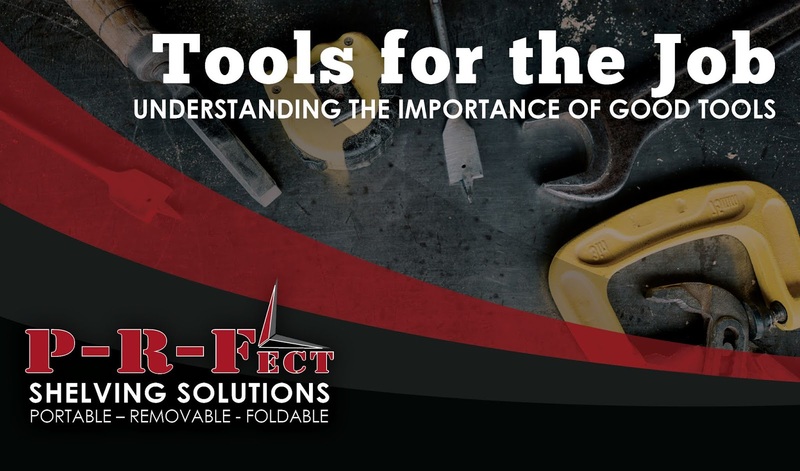 If you have a job that you perform day in and day out, no matter what it is; and you have to use tools, use tools that are the best tool for the job. You will save your self a great amount of frustration.